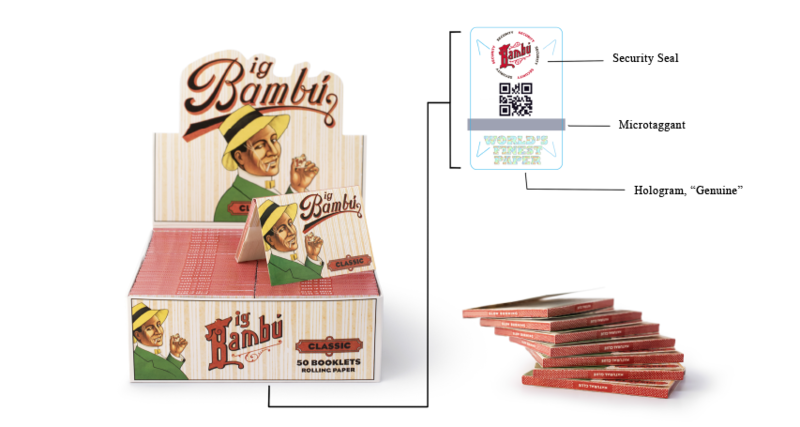 In 2016, Bambú is introducing newly designed packaging for its rolling paper products. 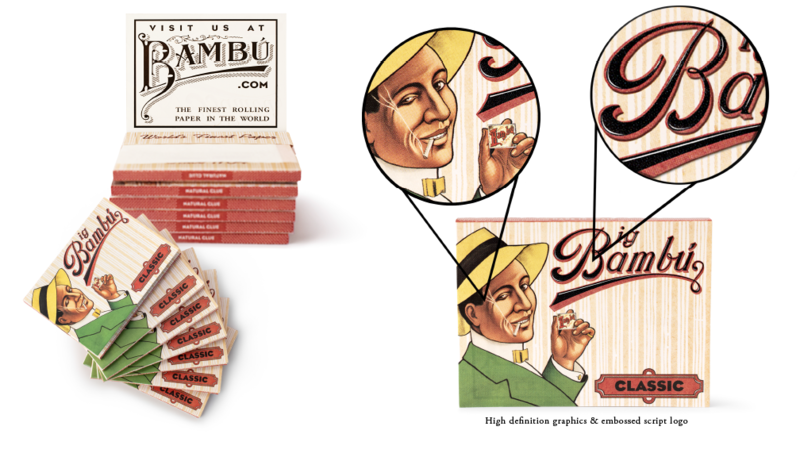 Bambú has been dedicated to bringing quality smoking products to the world since 1764. Bambú is a trusted name and recognized in the market for our constant commitment towards our customers. That is why we are taking measures to protect our customers from fradulent products and sellers that may not be offering the very best quality which Bambú has maintained for 250 years. It is our utmost priority to deliver the highest caliber smoking experience, so we ask all customers to take note of these design changes. In addition, we place a unique holographic ©Microtrace logo sticker on the bottom of all our products, please make sure that the original sticker with our security logo is on your box of Bambú. As well, there is a unique QR Code which when scanned, takes you directly to the authenticity page of our website. Again, we want to thank all of our values customers for your continual support and hope that you will take the time to protect yourself and others from fraudulent products. Thank you for choosing Bambú!